We are so excited about hosting Dr. Alice Rothchild to be the keynote speaker at our 2017 ICMEP Gala. The Gala will be on Saturday, October 21, Courtyard by Marriott downtown Fort Waye, 5:30-9:30pm. Alice's presentation will be: "My Journey from Zionism to Palestinian Human Rights Activist." The evening includes a plated dinner, silent auction, music, and cash bar. Tickets are $75. 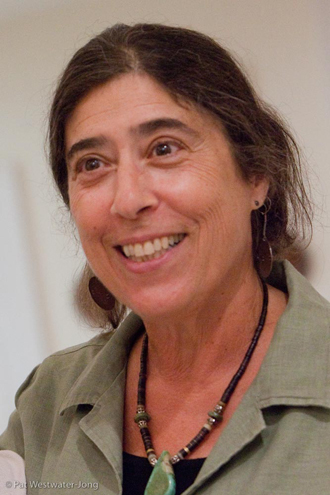 Alice is a Jewish filmmaker, author, activist, and ob/gyn, specializing in women’s and children’s health. She was on the staff of Beth Israel Hospital, and Assistant Professor of Obstetrics, Gynecology, and Reproductive Biology at Harvard Medical School. She was a contributor to the first edition of Our Bodies, Our Selves. Alice is a member of Jewish Voice for Peace, and author of Broken Promises, Broken Dreams: Stories of Jewish and Palestinian Trauma & Resilience. She also produced Voices Across the Divide: An Oral History of the Palestinian-Israeli Conflict. Here is a review of her latest book, Condition Critical: Life and Death in Israel/Palestine.